Most Maine homes leak two to three times more air than building scientists recommend for good indoor air quality. A lot of warm indoor air is escaping outdoors, taking homeowners’ hard-earned dollars with it. If you’d like to find out how leaky your home is, consider scheduling an Energy Assessment as a first step to trimming heating bills. Efficiency Maine offers a $400 rebate toward that assessment and up to six hours of air sealing. When you schedule an energy audit, an energy advisor will visit your home to complete a thorough inspection of the interior and exterior. Advisors typically conduct a few standard tests to help identify which upgrades will yield the greatest energy savings. In the blower door test, a fan temporarily installed in a sealed exterior doorway helps depressurize the house so that the energy advisor can measure air flow. Two other devices—an infrared camera and smoke pencil—then help spot air leaks and areas of inadequate insulation. When the inspection is completed, your energy advisor will prepare a list of recommendations. 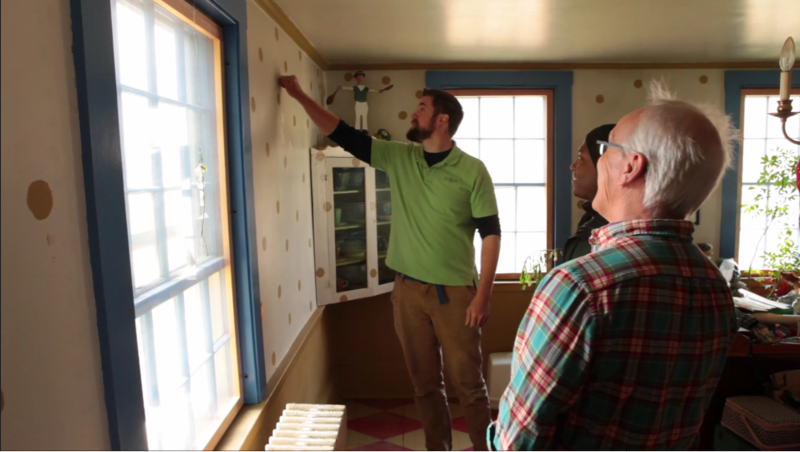 If your home needs some major insulation upgrades—involving your basement, attic or exterior walls, you can apply for another Efficiency Maine rebate to help cover that investment. Efficiency Maine can also help with low-cost, no-fee financing to undertake larger energy-saving projects—such as major insulation or a replacement boiler or furnace. Starting the process is simple: just contact an Efficiency Maine Registered Vendors and you’ll be on your way to enjoying the comfort and cost-savings of a more tightly sealed home.